Only our venue offers meeting and event spaces that are not only visually stimulating and producing the best meeting results. The Mint Ballroom is where mystique meets chic, rich in the stylish details that make your meeting, gala, fundraiser, wedding, mitzvah, charity event or any kind of celebration a long talked-about affair. 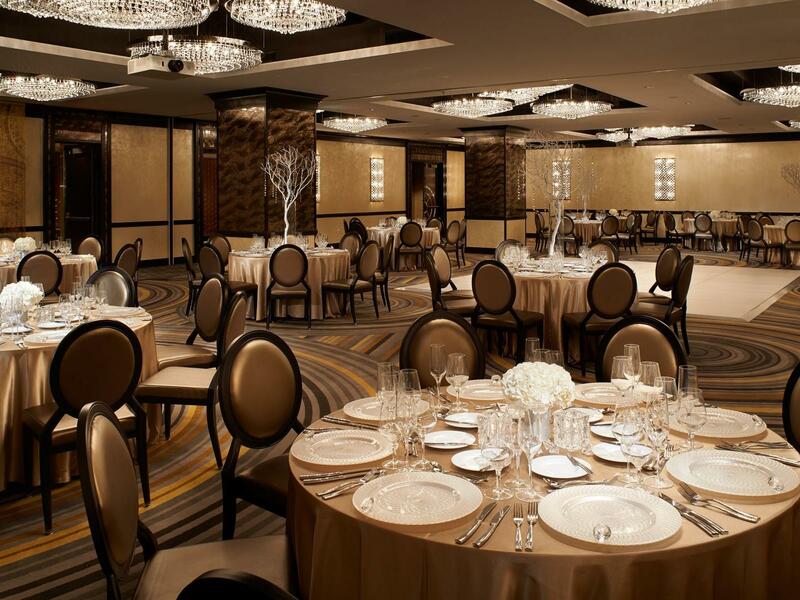 Our gorgeous 5,186 square foot ballroom can host up to 450 guests. Book your private dining event for entertaining clients, a celebratory moment, board meeting and more in our crystal chandelier decorated Private Dining Room. 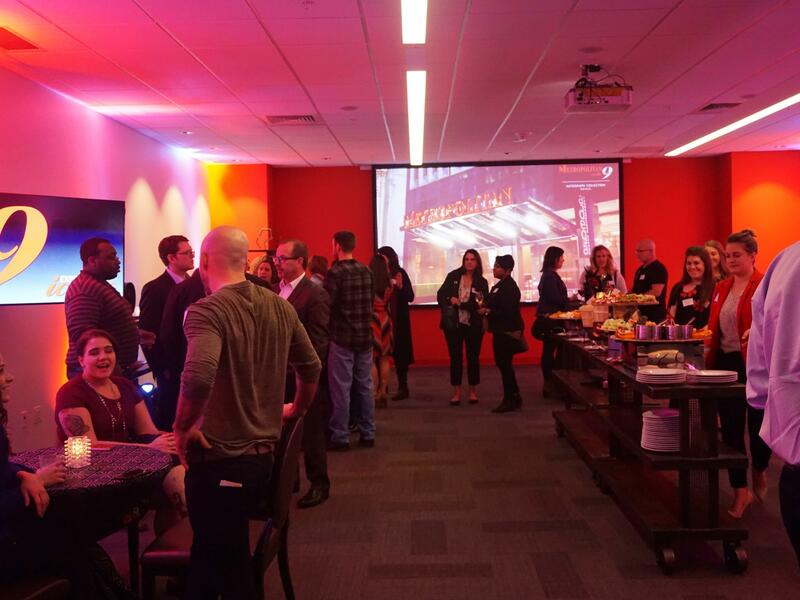 Conveniently located above Adega restaurant overlooking East 9th Street, this 840 square foot event space can host up to 45 guests. Meet in our Post Room, aptly named after George Post who designed the picturesque Rotunda in 1908. The Post Room features a glass wall overlooking the Rotunda, allowing natural light into your meeting. Red Conference Room offers world class audio visual capabilities, property wide and global streaming features while offering additional private meeting space for larger groups. 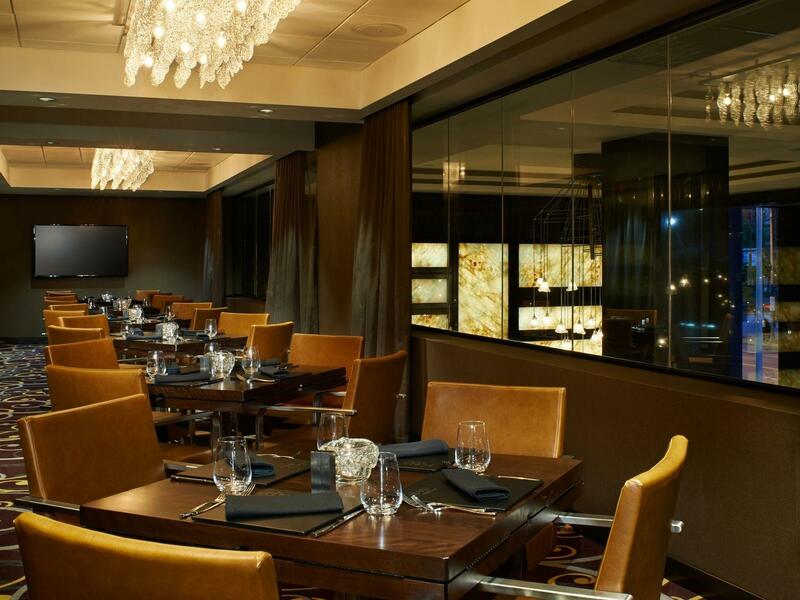 The conference room also offers a pre-function area outside of the room for various needs. 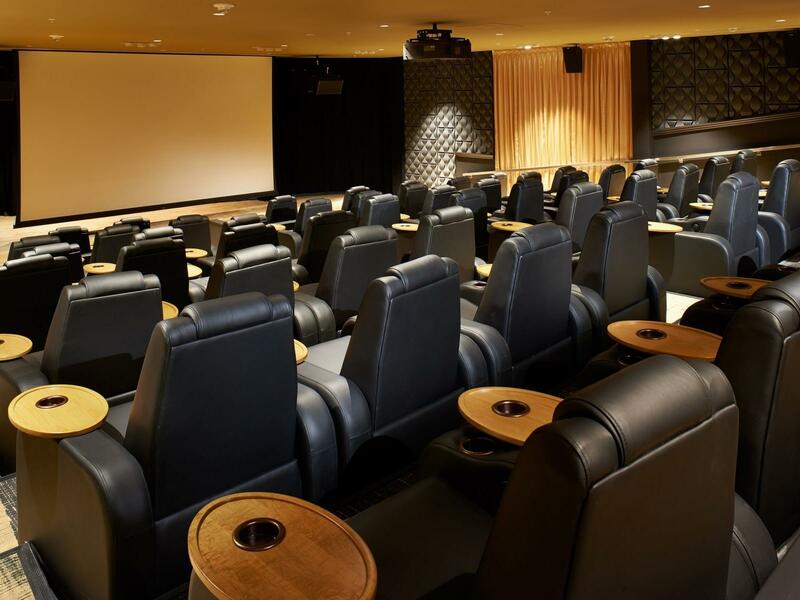 This inventive indoor 60-leather-seat theater is a unique stage for intimate and unforgettable wedding ceremonies. 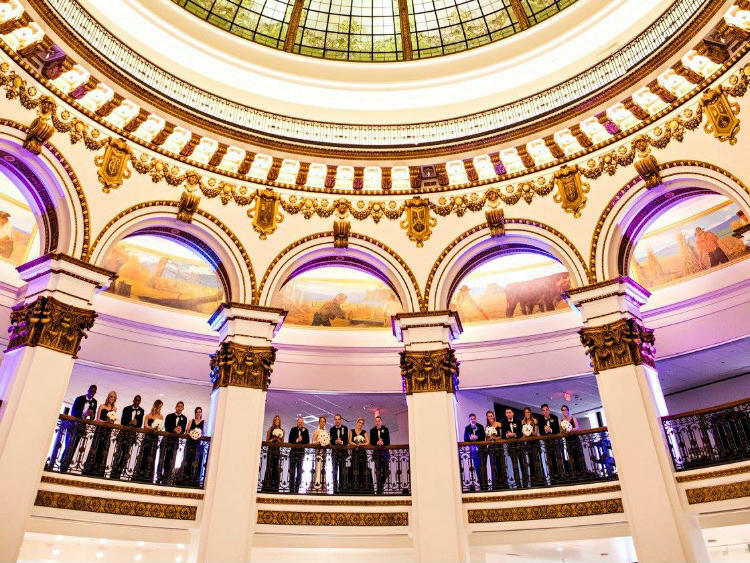 Built in 1908 and renovated in 2014, the Rotunda offers gorgeous wedding space beneath the original, breathtaking Tiffany glass dome of The Cleveland Trust Bank Rotunda. 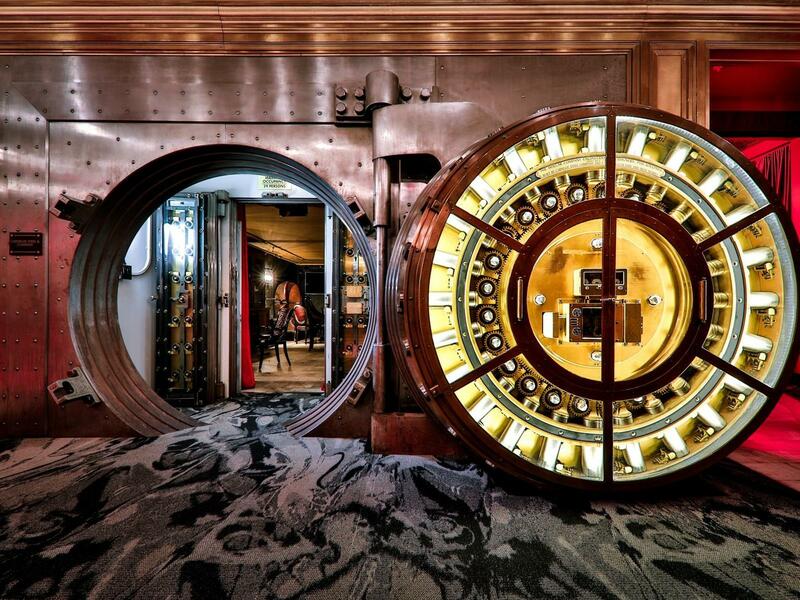 This is Cleveland's most unique event space and will ensure a one-of-a-kind celebration. We can host up to 300 of your most special guests. 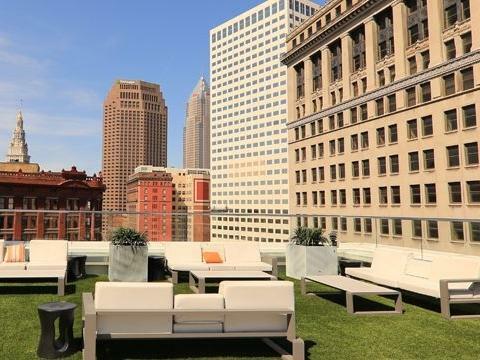 Cleveland's only sun deck and lounge, perched 150 feet above the city streets is perfect for hosting memorable weddings and receptions. This seasonal venue operates May through October and can host up to 400 guests. Contact us and start planning your event.